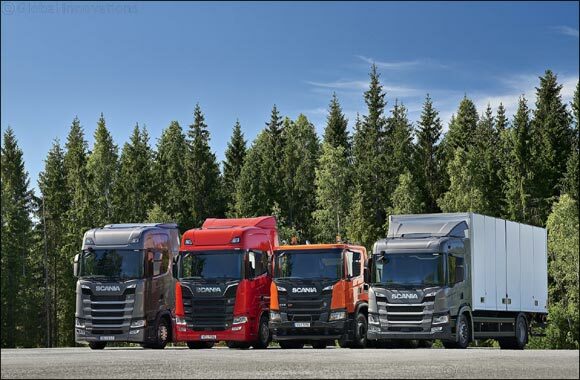 Dubai, UAE, November 01, 2018: Scania, the world's leading provider of transport solutions, has announced the launch of its¬¬ new and complete truck range in the UAE. Scania's new truck generation is extending its offering, and can now, with its unique modular system, supply more performance steps, connectivity, and a comprehensive palette of productivity-enhancing services as well as customised transportation solutions. The promise is that Scania's customers will always be able to carry out their work in the most sustainable and profitable way, regardless of industry and area of application. With the complete new truck range, Scania is setting a new standard for what is premium in the transport industry. The result of ten years of development work and investments of over two billion Euros, the new truck generation builds on the values, strategies, and innovations, which for the past 127 years have made Scania an industry leader. Loaded with enhancements, the new truck range further improves Scania's already strong fuel performance due to factors such as improved powertrains and better aerodynamics. Another notable feature is the availability and offering of 24 different cab models. With driver's safety at the forefront of Scania's goals, the new truck range also provides the world's first rollover side curtain airbag. Scania has been at the forefront of the region's transport sector for more than four decades providing outstanding fuel efficient and optimised vehicles, fully customised and adapted to the requirements and operating conditions of the Middle East.